If you have just been served with a subpoena from the Department of Health and Human Services (DHHS) Office of Inspector General (OIG) or a federal grand jury, your next steps are important. Improperly withhold information and you could find yourself facing criminal charges. Share more than is required and you could find yourself at the center of a federal Medicare fraud investigation. At this point, you need to be very careful about what you (and your employees) say and do and you need to address the subpoena immediately in order to avoid running out of time to make informed decisions. Have You Been Served with an OIG or Grand Jury Subpoena? If So, You Should . . .
1. Engage Experienced Legal Counsel. If you have been served with any type of federal subpoena, your first step should be to engage experienced legal counsel. This is a serious matter with serious consequences, and moving forward you need to be making decisions based upon the advice of your attorney. When choosing an attorney, your driving consideration should be relevant experience. While some lawyers handle cases in a broad range of areas, others focus their practice on health care fraud defense in federal matters. 2. Make Sure You Know Your Deadline to Respond. Your OIG or grand jury subpoena has a deadline. Make sure you know it, and make sure you are prepared to meet it. While you may be able to negotiate an extension depending on the scope of the subpoena, your defense strategy, and the effectiveness of your legal counsel; right now, you should not rely on having a single day more than the subpoena allows. 3. Make Sure You Know Your Obligations Pursuant to the Subpoena. Next, you need to focus on understanding the scope of the subpoena. What is being requested? Documents? Testimony? Both? Do you know what the government is asking for? Do you know how to submit a response that is compliant with the OIG’s or prosecutors’ demands? These are not easy questions to answer, and you will need to carefully assess your obligations by working closely with your attorney. 4. Assess Your Options for Responding to the Subpoena (i.e., Ignore, Challenge, or Comply). Once you know what is being requested, then you can decide how you will respond. Broadly speaking, you have three options: (i) ignore the subpoena, (ii) challenge the subpoena, or (iii) comply with the subpoena. Ignoring an OIG or grand jury subpoena is not a good choice. The OIG and federal grand juries have broad authority to demand records and testimony from potential witnesses and targets of federal investigations. And if you ignore the subpoena, you could face significant negative repercussions (in addition to remaining subject to the subpoena’s demands). The third option is simply to comply. Practically speaking, in some cases, this will be the best (if not the only) option. However, before missing your window to challenge the subpoena, you need to make an informed decision that it is not in your best interests to do so. 5. Preserve Any Responsive Paper Records and Electronic Files. All of the above steps will need to be completed fairly quickly. In parallel with making the decisions discussed above, it will also be necessary to preserve any paper records and electronic files that are potentially responsive to the government’s demands. If you allow records to be destroyed or deleted (or if you destroy or delete them intentionally), you could face sanctions regardless of whether or not you are at the center of the government’s investigation. 6. Preserve Your Attorney-Client Privilege. As you assemble your response, you need to be very careful to preserve your attorney-client privilege. If you hand over documents or emails that reflect communications between you and your attorney, the government may be able to argue that you have waived the privilege and are no longer entitled to assert it during the proceedings. 7. Determine Your Potential Exposure in a Federal Investigation. At this point, you also need to conduct a realistic assessment of your potential exposure. Are you being targeted by federal authorities? If not, could your response to the subpoena trigger further inquiry? In either case, could the government pursue criminal charges against you? 8. Prepare Your Response (Documents, Testimony, or Both). Once you have determined the best way to respond to the subpoena and any efforts to challenge the subpoena have been resolved, then you need to prepare your response. If you are being asked for documents, this means assembling all responsive documents consistent with the demands of the subpoena. If you are being asked to testify, this means working with your attorney to prepare your oral responses. 9. Have Your Response Reviewed by Your Legal Counsel. Once you assemble the responsive documents, they will need to be reviewed by your legal counsel (for this reason, it may make sense for legal counsel to assemble the document protection on your behalf). Reasons for this include ensuring that any potentially-incriminating documents are not unnecessarily disclosed and preserving your attorney-client privilege. If you will need to testify, you will want to continue preparing intensively with your attorney in advance of your court date since he or she will not be able to be present with you in the courtroom. 10. Submit Your Response (Or Appear to Testify before the Grand Jury). Finally, you will need to submit your response in the format required. 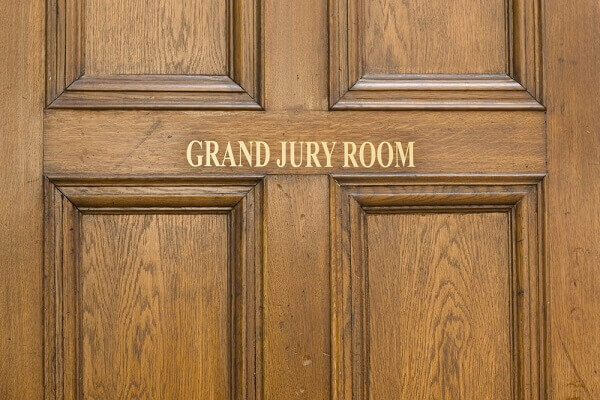 If you are appearing before a grand jury, you will need to appear at the scheduled time along with any documents requested in the subpoena. Your attorney will come with you but will need to wait outside of the courtroom (per the rules of federal grand jury proceedings). You should have a plan for ensuring that you know how to request to speak with your attorney when necessary. Federal health care fraud defense attorney, Dr. Nick Oberheiden, has experience representing clients in OIG investigations and grand jury proceedings nationwide. To discuss your subpoena with Dr. Oberheiden in confidence, please call (888) 356-4634 or contact us online today.